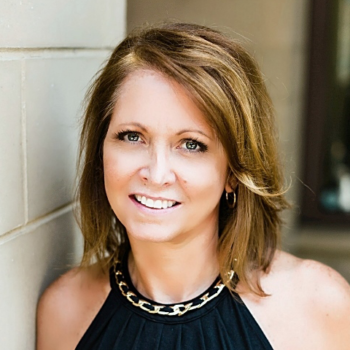 Smart Choice Realty was started by Samara Presley in 2008, just as the real estate market began to decline. 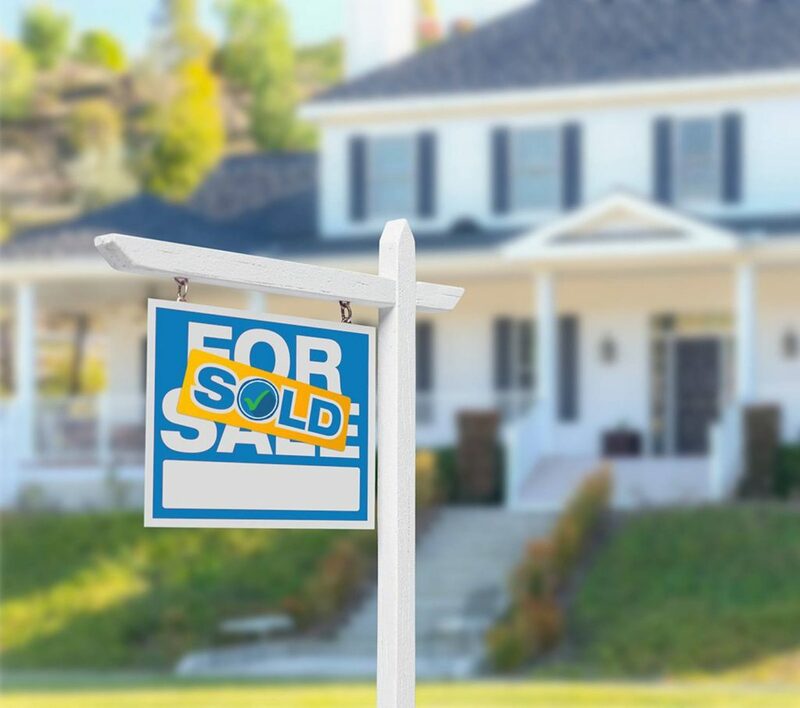 While this was the death knell for many real estate firms, it actually was the perfect time for us – because more than ever, sellers were questioning traditional approaches, and starting to look for ways to save money. 1. Buyers and sellers are – surprise! – consumers who value their hard earned dollars. 2. The real estate industry has to change. Just like every other business in the Internet age. Not surprisingly, those two things are connected. Because when we asked ourselves what we could do differently, the answer was clear: Have a less expensive business model. And pass our savings on to you. In the old days, it was hard to list and sell a home. It required advertising in print publications. Holding open houses and hoping someone would drive by. And – without cell phones, email and web sites – a lot more legwork. Today, thanks to the Internet, things are a lot easier. No more expensive print publications; an agent can upload your listing and it’s instantly available to millions of buyers – who can easily search the MLS themselves. Great for buyers. Cheaper for agents. 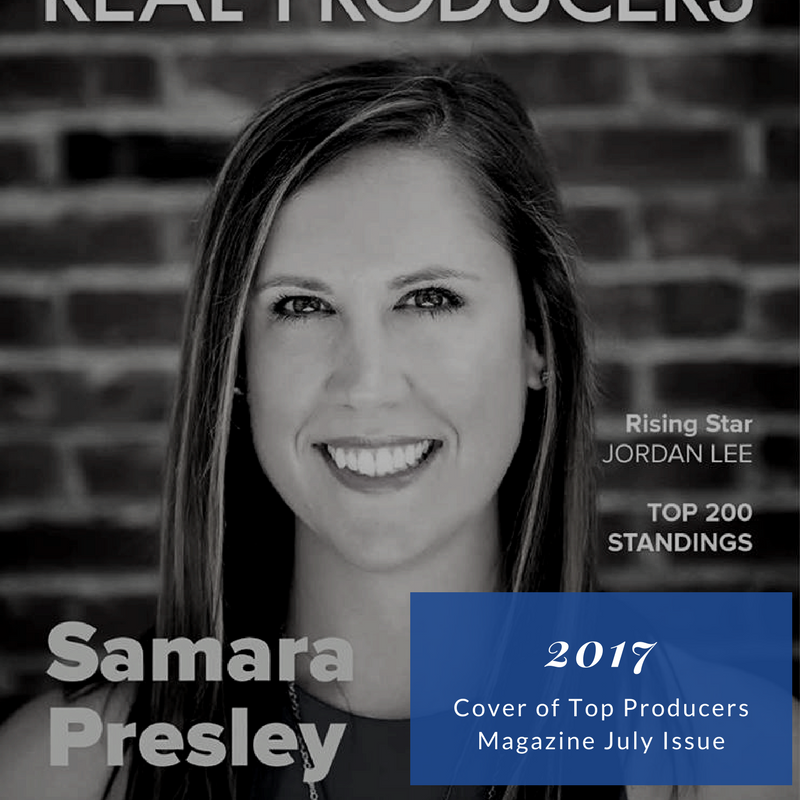 Samara Presley is recognized by Realtor Magazine as top “30 Under 30” agents, which confirms that alternative ways of selling real estate are even being acknowledged by the National Association of Realtors, This recognition propels her to make her first hire and begin to grow Smart Choice. This recognition propels her to make her first hire and begin to grow Smart Choice. Word begins to spread about Smart Choice Realty and how we save Triangle homeowners money. Word of mouth advertising saves us a ton of money in advertising costs. We know that if we deliver excellent service our clients will continue to refer us and Smart Choice will continue to grow. Production doubles and we’ve sold over 70 Triangle homes. We are now one of the top flat fee firms of the Triangle. Smart Choice has grown to a ten person team with specialists to help buyers and sellers every step of the way. Smart Choice is the premier flat fee, full service firm in the Triangle and has saved home sellers over $3 million in commissions. 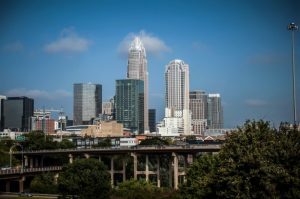 After finding tremendous success in the Triangle market, Smart Choice branches out to begin delivering our superior services and savings to the Queen City. We are the industry disruptors of real estate. The real estate world has changed and we believe we are at the forefront of that change. We want to revolutionize the way real estate is sold by offering sellers another option that not only delivers thousands in savings, but also top notch service. Not only are we striving to deliver the best customer experience we can offer, but we are also working to become a great firm that agents can call home. We want a professional team of agents whose core beliefs align with ours. We believe in teamwork, putting the customer first, always doing the right thing and maintaining a positive attitude. We are so grateful to Samara, Tracy and Jo-Ann for their help, advice and efficient attention to detail on the successful and speedy sale of our house. The whole process was smooth, they answered our many questions and they made our lives easy through what can be a very stressful time. When our plans changed in the middle of the process, involving us moving across the country, Tracy came to our rescue by researching and finding us a great realtor at our new location. We are more than happy with the entire service provided by the Smart Choice team and we are really baffled why anyone would go to another realtor and pay such high fees. Smart Choice saved us a lot of money and there is no area we can think of where they did not provide the service we would have expected from any other realtor. We had made enquiries with another realtor before going to Smart Choice and were shocked and disappointed by that agent’s suggested list price of our house. The list price and the actual sale price we achieved with the help of the Smart Choice team was well above this. We thoroughly recommend you go to Smart Choice before looking elsewhere. They are professional, knowledgeable, they get the job done and they save you money. One of the smartest things we ever did was to use Smart Choice Realty to sell our house. It sold in just a few weeks and for a price that we were happy with. Smart Choice saved us a lot of money and Tracy Sease made the experience so much better than we expected. We would recommend Samara Presley and her team to anyone thinking of buying or selling a home. Samara and Jessica just helped me buy a townhouse. They were totally professional and helped me throughout the process. I don’t know why anyone would go anywhere else to buy or sell a property. My Wife and I bought our very first home this past Jan 2012. Jessica Hunt was our realtor, and not only did we get the house of our dreams, but we also got it at an OUTSTANDING price thanks to her amazing Negotiation skills! Jessica was very caring and understanding to all of our needs. We can be very needy people and Jessica did not miss a beat. She was very attentive and Just A joy to work with. She explained the entire process in such a way that it made it so much easier for us to really understand everything. She listened to every detail to the T. and it reflected because all the houses we saw were houses that we could see ourselves living in. All my family and friends were so impressed on how smooth everything went. We started looking at houses every other week-end except on holidays of course, Nov.2011 and by Jan 2012 we closed on our dream house. 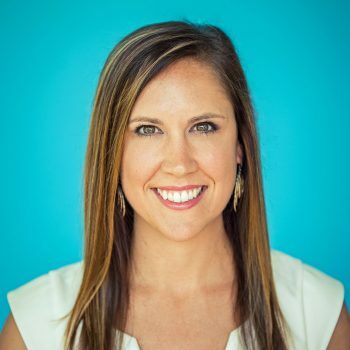 We are truly glad to have chosen Smart Choice realty and Jessica Hunt as our Realtor. It was simply the right choice. I recommend her to Everyone. She is Simply Amazing. Selling our house in Cary was made worry free with Samara and her team. I always was well informed and she was professional with a caring attitude. A friend recommended Samara and I was hooked with the $1000 flat sell fee. In a tough economy the flat fee was truly a savings. Smart Choice Realty are a top rate company that I recommend highly to my friends. When your selling your house, you want somebody on your side that knows the business, has contacts to help with repairs or staging, and somebody you can trust. Our family was very pleased with our smart choice of choosing Samara! In reading through online reviews of realtors, we were so fortunate to learn about Samara and Smart Choice Realty. While we were not familiar with these names then, we can enthusiastically recommend them now. We had not planned on selling our house, but, due to an unexpected job opportunity 500 miles away, we had to get it ready and on the market quickly. Samara was an invaluable guide and resource throughout this process. She quickly identified changes we needed to make in the house and expert professionals who could complete the work efficiently. Once our house was on the market, Samara kept us informed about its prospects and the local market in general. She was positive, patient, accessible, and really looked out for our best interests. Thank you, Samara! Like you, the reader of this review, I found Samara through various resources on the Internet. I am writing here to let you know that the positive reviews about her company matched my experience. In short, you don’t need to read the rest of my review or any other reviews. Just go ahead and contact her! My wife and I found Samara by doing a lot of research and we are amazed at how easy she made the process of selling and buying. All of the reviews painted the picture perfectly. Samara is very knowledgeable about the market and is very detail oriented and helps explain every step in the process. I assumed the flat rate would mean we might not get all of her attention but we were happily surprised. With the amount of effort she puts in you feel she is only working on your transaction. Her referrals to lenders and inspectors turned out to have the same work ethic and ease to deal with. The whole experience was amazing. We are very quick to recommend her to anyone we hear that is in need of a Realtor because we know they will be thrilled with the dealing with her. The experience was not like any of our others and we can’t say enough good things about her. Thanks Samara for all of your help. 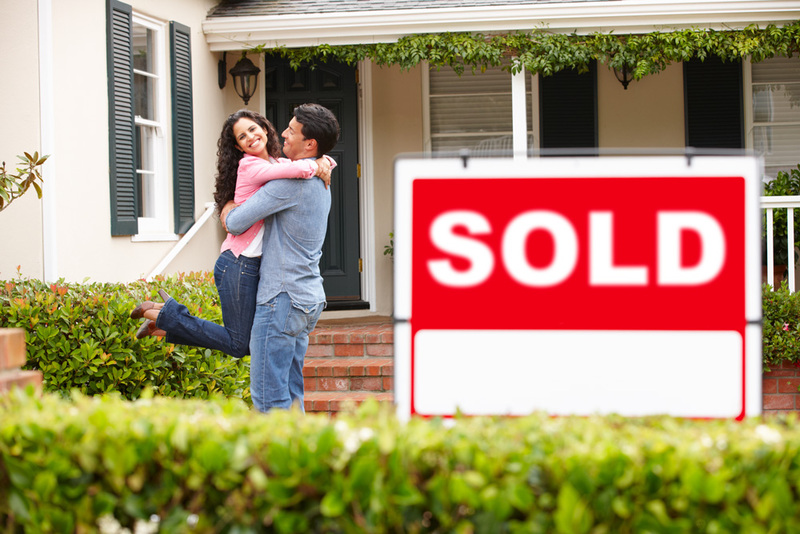 Smart Choice Realty made our home buying process easy and painless. Susan Brown went above and beyond, and worked tirelessly to help us find and close on a home. Susan and everyone else at the office were always available to help and answer questions, and it was very much appreciated. We highly recommend Smart Choice Realty for future selling of your real estate property. We had a very good experience working with the Smart Choice team to sell our house in North Raleigh. They were very professional and we liked the speed at which any questions we had were answered. Jo Ann provided excellent guidance and recommendations on how to get our house in the best shape before listing. We also really liked the electronic notifications we received for showings and inspections. We put our house on the market in mid-December and had an offer within a month which is great considering the time of year to sell a house. Once we had a contract Mel, with the closing team, made sure everything was on track and we had a very smooth closing. We saved more than $14,500 in agent commissions by listing with Smart Choice compared to the average going rate for realtor listing fees. I had a great experience selling my home with Smart Choice Realty. I followed all the recommendations Samara and Jo Ann made prior to listing and had multiple offers above asking in less than a week. The photos taken of the home were fantastic and they held an open house. I really didn’t see any major difference between them and a traditional real estate company except course my fees were less and I saved money. On a side note, we also sold a home in Fayetteville, NC a year ago by using a real estate agent Samara recommended. Prior to her recommendation we had that house on the market a year and a half with another agent and no offers. So I give her a little credit with that one too! We had a great experience working with the Smart Choice team to sell our Cameron Village condo! Jo Ann provided excellent guidance and recommendations on how to get the unit in the best shape before listing and we were under contract in less than 48 hours! From there, the closing team including Mel made sure everything was on track and we closed in about 1 month. The best part is that we saved $5,800 in agent commission paid out by listing with Smart Choice compared to the average going rate for realtor listing fees. Our experience with Smart Choice could not have been better. All personnel conducted themselves in a professional manner and were responsive to all inquiries. This was the best experience in our six previous listings a property for sale and I would not hesitate to list our next sale with this agency. The cost of doing business (which was thousands less than a traditional realtor) was the first thing that peaked my interest. In our first conversation I learned that all of the particulars of listing (including photography, MLS, signage, fliers, showings, visitor feedback and more) were to be handled. All aspects of the listing were conducted effectively and efficiently. Our listing resulted in double digit showings on the first day that include five offers. Upon recommendation we requested each of the five offers to come back with their best offer over a 24-hour period. We signed a contract that was $9K over the asking price. Our family had been looking for a lovely home for a WHILE and wasn’t having any luck. We decided to contact Smart Choice Realty where we had the pleasure to work with an amazing Realtor named Susan Brown. She was wonderful, no matter what we needed she was there beside us EVERY STEP of the way. We couldn’t of asked for a better Realtor. She was there to answer any and all questions we had with excellent knowledge. Buying a home can be veryyy stressful but Susan helped make it stress-free. If you’re in need of any Realtor services smart choice realty IS the way to go, they are easy to contact and very professional. We LOVED everything about Susan and smart choice realty, we couldn’t of picked a better company to help us with OUR major transition. Buying or selling a home can be very exciting and frustrating at the same time, but with Smart Choice Realty it really was a Smart Choice! Ask for Susan Brown and tell her WE Sent YOU! We used Smart Choice Realty to sell and purchase our homes so I feel I need to break this review in 2 parts. Selling-Jo Ann was professional, knowledgeable and very patient from the first email that she sent me. Her true knowledge and experience really presented itself after we received an offer on our home. She went above and beyond to get the deal done. I had a wonderful experience working with Jo Ann Gardner at Smart Choice Realty to sell my home. Not only did she get my house sold in less than 3 days but she did it for well over asking price. I also was in a very time sensitive situation that required much agility for my new home purchase. I must say that Devin Scott went above and beyond any expectations I had to find me just the right house and did it for much less than it was listed for. The closing team and office staff were easily accessible and very accommodating. Smart Choice also referred to a lending professional and closing attorney; all of whom worked very closely to ensure the entire process was stress free. True professionals. All off this and I was only charged a $1000 to sell my property! I can’t say enough good things about Smart Choice Realty! I highly recommend Smart Choice Realty for all of your real estate needs. -Brian M.
The Smart Choice model provides a property listing service that will save you thousands of dollars with no compromise of services provided by full fee realtors. The only difference is no open houses which are in my opinion of little, if any value. Marketing penetration is equal to the highest fee broker and there is no hesitation from other agents to show and sell your home. All the Smart Choice members are professionals and will work hard on your sale. I was particularly impressed with Samara’s and Jo Ann’s acumen at analyzing our listing and executing the deal. I wouldn’t waste money anywhere else. I recently sold my house through Smart Choice Realty and the money they saved me with the flat fee listing service, allowed me more money to purchase my new place. Susan Brown, my buyer’s agent with SCR, was also very helpful and made every attempt to work with my schedule during the search of my new home. I can’t see if I ever move again why I wouldn’t use SCR again. Thanks to the whole Smart Choice Team! – William S.
We would like to extend our sincere thanks to all the team at Smart Choice. We struggled with the decision to use Smart Choice or a more conventional realtor. In the end it is clear that your business model works and you back your service with depth and experience on everything from web presence and marketing to support through negotiation and closing. You are offering a great service at an excellent price relative to traditional models. Thanks for your assistance, guidance and professionalism in the sale of our property. – John & Nancy S.
Smart choice realty is absolutely fantastic. Samara is very professional and really great at what she does. She has surrounded herself with a great team to guys too. They managed to make the stressful process of selling and purchasing a house easier. On top of that you save a lot of money in the process. Highly recommended! We could not have been happier with our experience with Smart Choice Realty. I admit to being hesitant at first over the flat fee aspect, and when I understood how much money we stood to save I thought there was probably some catch at some point. But I was wrong – there is no catch at all and the service we received from Samara and team was incredible. Samara sat down and took time to explain the process of selling our home, helped us stage it – and because we were in a rush she had our house on the market within 48 hours of the initial meeting, and the pictures she put on the internet for our posting were phenomenal. Even better – we had two offers within the first 48 hours! She then turned us over to Jessica who works more as the selling agent, and the service continued to be impeccable. Jessica was responsive through text, phone and email. She took the time to explain what was going on with potential buyers, what actions were best to take, etc. She remained patient with us as first time sellers – and I truly appreciate everything she did to get our home sold. I highly recommend Smart Choice Realty and wish Samara and her team all the best in the future! Smart Choice Realty is definitely worth your business. Samara (the owner and sellers agent) was very good at explaining the process. She gave me great suggestions for staging my home and when the time came, took amazing pictures. I had great traffic to the house and it SOLD IN 7 DAYS!!! Comparable homes in the neighborhood sit on the market for months. I feel that Smart Choice made the difference. Jaymi (the buyers agent) was enthusiastic and a pleasure to work with. She walked us through the pros and cons of every house we looked at and always got back to us when we had questions. We were able to find the house of our dreams in a great neighborhood. She is a skilled negotiator and got us extra furniture and helped us beat out 2 other couples for the home. Behind the scenes, Jessica, is an amazing organizer and communicator. She makes sure everything is turned in on time and is always there to answer questions. I cannot recommend this company enough. They are worth every penny and more! Top-notch company. Smart Choice delivered everything a full-priced realtor delivers, but they delivered it better. Their sign was huge and attracted a LOT of drive-by attention. We were initially concerned that other realtors would shun showing our home because it wasn’t listed with a standard 5%-6% fee company. NOT SO! We had lots of traffic and multiple buyers even entered into a bidding war, selling our home above asking price in less than 3 weeks. I cannot say enough about SmartChoice Realty or their staff. They were, by far, the easiest realty company we’ve ever dealt with – a professional operation. Five stars all the way. We could not have found a more patient and accommodating duo than Samara and Jaymi. They work hard to help you find your new home and Jessica works as hard to get you into it. This team guided us through a time-consuming search, down the paper trail of securing a contract to the final closing. Thank you ladies! I could not be happier about my decision to sell and buy our home with Smart Choice Realty. Samara and Jessica are some of the most organized and professional agents I have ever met! Their expectations are clear from the beginning and they are always available to discuss feedback or questions. I would recommend anyone I know to buy or sell with Smart Choice Realty! I never imagined buying my first home could go so smoothly. Jaymi Huff was my buyers agent and she was full of knowledge. You can really tell when someone loves their job, it makes all the difference. Between her and Jessica, any question I had was answered in such a timely manner. Although I don’t plan on moving again anytime soon, I would definitely choose Smart Choice Realty again, as well as highly recommend them! Samara and Jessica did an outstanding job representing us as a seller’s agent. The house was under contract in 90 days, and we were able to get close to our listing price. Jessica did an excellent job handling the repair negotiations and contracts between us and the buyer. We strongly recommend Smart Choice and would gladly use them again in the future. Samara and Jessica were WONDERFUL in both selling our house and buying our new one. Not only did they get our old house sold faster than we could have imagined (for our asking price! ), they got us a fantastic deal on our new home. Samara and Jessica are a top notch team and we highly recommend Smart Choice Realty!!! Samara and Jessica were very efficient, professional, and dependable. They were both available when we needed them and they both worked with us diligently to help achieve our goals both with selling our house and buying a new one. Samara is a great negotiator and is very persistent. I would definitely 100% recommend Smart Choice Realty if you plan to sell and buy a house! I cannot say enough good things about this company. We have bought and sold by owner 6 times and have never had an MLS service that has done so much for us. The pictures advertising our home were very professional and brought our buyers from out of state in 2 weeks. Smart Choice assisted in the negotiations and closing and everything in between. All of this for no extra charge! The communication was excellent even on weekends and Holidays. We saved over $16,000 in closing costs!! What a great experience in what is potentially a very stressful time. I was riding around looking for townhouses when I saw Samara’s sign and gave her a call. We were lucky I did because we were extremely satisfied with her and believe we could not have chosen better. She worked constantly with us on looking for just what we wanted. When we found the right property she was very helpful through the entire closing process. Samara Presley was exttremely helpful and knowledgable in helping us find the right townhouse for us. We were new to Raleigh and did not know any realtors. I saw her sign while riding around looking for Townhomes and gave her a call. I consider us lucky that we called her first. She answered all questions, returned all my phone calls and emails (which were many) and was always courteous. We would certainly recommend her to anyone! Samara was very friendly, knowledgeable and easy to work with. I got a great price for my home with a back up offer. I would have lost a lot of money if I hadn’t used her service. My wife and I really lucked out when Jessica Hunt met us to show a Smart Choice listing. We were just beginning our house search and had not settled on an agent as yet. 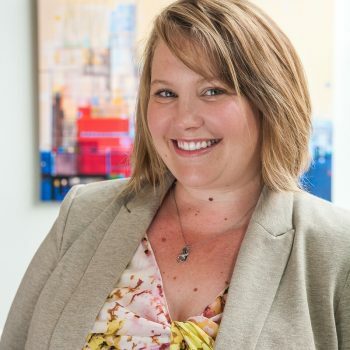 Our relationship with Jessica grew from that first meeting and it was soon clear that Jessica was very professional, knowledgeable, and always had our best interests at heart. She never tried to push us in any direction or selection, but listened to our requirements and desires and did everything she could to meet them. At times the process was arduous but with Jessica helping us each step of the way it went smoothly. In short, we ended up with a great house in a great location. I can’t imagine going through this with anyone but Jessica. The Right Choice. So My wife and I bought our very first home this past jan 2012. Jessica Hunt with Smart Choice realty was our realtor, and OMG…not only did we get the house of our dreams but we also got it for an OUTSTANDING price thanks to her amazing negotiation skills!!!! She was very professional,Tentative,caring and she Listened to our wants/needs. Overall showed that she really loves what she does and really wants to help you get the house of your dreams. She explained the entire process with such clarity that we felt so comfortable. We started seriously looking in Nov 2011 and by Jan 2012 we were closing on our Dream house. Jessica negotiated soo well that at closing WE GOT MONEY and We were living in an apartment and our lease wasn’t up until april 2012, Well the builder even payed our lease off thanks to Jessica’s negotiation skills. She is simply THE BEST!!! I’m soo glad I chose Jessica Hunt and Smart choice Realty. All you need!. Samara sold my house in Wake Forest for more than the asking price. Don’t waste your time or money on a full price realtor. Smart Choice Realty, indeed smart choice.. Selling our house in Cary was made worry free with Samara and her team. I always was well informed and she was professional with a caring attitude. A friend recommended Samara and I was hooked with the $1000 flat sell fee. In a tough economy the flat fee was truly a savings. Smart Choice Realty are a top rate company that I recommend highly to my friends. When your selling your house, you want somebody on your side that knows the business, has contacts to help with repairs or staging, and somebody you can trust. Our family was very pleased with our smart choice of choosing Samara! I’ve been blessed to work with Samara, her team and her clients for the past three years. She currently has my home listed and has done a great job of getting maximum exposure in a tough market. Samara is a great negotiator and is fun to work with. Her team takes care of all of the details ensuring a smooth closing. If you’re wondering weather of not to use her services you can stop wondering and move forward with her confidently. Smart Choice Was the Right Choice. In reading through online reviews of realtors, we were so fortunate to learn about Samara and Smart Choice Realty. While we were not familiar with these names then, we can enthusiastically recommend them now. We had not planned on selling our house, but, due to an unexpected job opportunity 500 miles away, we had to get it ready and on the market quickly. Samara was an invaluable guide and resource throughout this process. She quickly identified changes we needed to make in the house and expert professionals who could complete the work efficiently. Once our house was on the market, Samara kept us informed about its prospects and the local market in general. She was positive, patient, accessible, and definitely looking out for our best interests. Thank you, Samara! Smart Choice is Great Choice. Samara was amazing to work with!! My wife and I looked for a home (our first) for over 6 months and Samara never became discouraged or let us become discouraged. She was always positive even when we were not. I would recommend Samara to anyone I know with out thinking twice. I don’t look forward to moving anytime soon but I look forward to working with Samara when I do. A 110% satisfied client. Like you, the reader of this review, I found Samara through various resources on the Internet. I am writing here to let you know that the positive reviews about her company matched my experience. In short, you don’t need to read the rest of my review or any other reviews. Just go ahead and contact her! My transaction was the purchase of a home in Chapel Hill. It was great to have someone familiar with the market and the area, even though I have been a resident in the Triangle for the past 15 years. Samara was attentive and patient throughout the process and efficient at getting whatever information I needed, usually before I needed it. I had some “issues” with financing (which seem to be more common than the first time I bought, nearly a decade ago). Samara offered good advise during through those tribulations and was looking out for me all the way until I signed the final documents at the closing table. If I decide to sell property in the area, I am quite sure that I would much prefer to go with her flat-fee listing than a traditional realtor and would have no worries about getting less service. I am sure that she works harder for her money than the other agents at a larger firm. I would not hesitate to recommend her to anyone, either as a buyer or seller! I rarely write reviews unless I’m either really happy or really upset with a service provided. In this case I am really happy with the service provided. Listing with Smart Choice Realty really provides the same, if not better service than its competitors for far less money. I interviewed more than 7 listing agents who all charged commission. Most charged 3% commission, which would have meant me paying far more than the Smart Choice Realty flat fee of $1,000 for a full service listing. 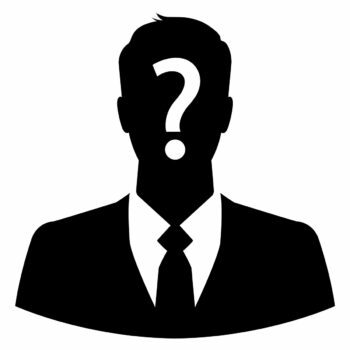 After considering all agents interviewed, I couldn’t see the added value going with a commission-based agent over paying the flat fee using Smart Choice. I listed with Smart Choiceand a week later had an offer. Smart Choice helped me negotiate the offer and get a very reasonable final sales price on my house. Once we had the final sales prices agreed, Smart Choice helped me step-by-step all the way through closing. Overall, selling with Smart Choice Realty was a hassle-free experience that proved to be a smart, cost-saving decision. Amazing Experience. My wife and I found Samara by doing a lot of research and we are amazed at how easy she made the process of selling and buying. All of the reviews painted the picture perfectly. Samara is very knowledgeable about the market and is very detail oriented and helps explain every step in the process. I assumed the flat rate would mean we might not get all of her attention but we were happily surprised. With the amount of effort she puts in you feel she is only working on your transaction. Her referrals to lenders and inspectors turned out to have the same work ethic and ease to deal with. The whole experience was amazing. We are very quick to recommend her to anyone we hear that is in need of a Realtor because we know they will be thrilled with the dealing with her. The experience was not like any of our others and we can?t say enough good things about her. Thanks Samara for all of your help. The name says it all.. Samara does what very few people do these days: She does what she says she will do. In our first meeting, Samara gave us a road map of what we could expect and then she systematically did each of those things. We sold our home, in a down economy, in about 60 days… and we got close to our asking price thanks to her sage advice. 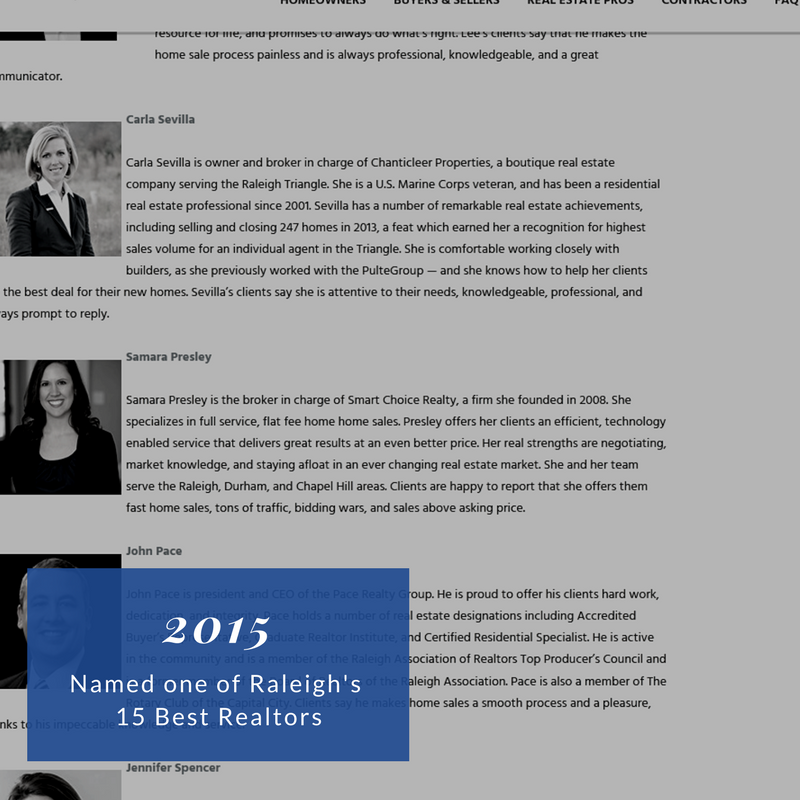 If you are buying or selling a home in the Raleigh area, look no further. Best Choice!. When we decided to sell our house in Cary, NC we talked to 3 other realtors who all were greedy and tried to set our bar very low. And then came Samara – professional, energetic and full of optimism. She priced our house right and advertised it very well. We have got an excellent offer (that others told us that we cannot even dream about!) in just a week! Samara provided us with an exceptional support throughout the entire process: putting house on market, negotiations, repairs, and closing! She made the whole process pleasant and easy. Samara is the best FULL service realtor! We highly recommend her. Smart Choice! My husband and I were looking for a home in North Carolina that we would move into a few years down the road. The plan was for my daughter to live there until we were ready to make the move. We chose Samara based on her positive reviews and found she definitely deserves them! We started out thinking we wanted one type of home and changes our minds a few times before finding the right home. Samara was very patient and helpful. Living in another state and not having bought a house in over 25 years we needed a lot of help. Samara was an expert on recommending different areas that we might like and answering our many questions. We ended up finding a great deal in a wonderful neighborhood. Now the only problem is putting up with New England winters until we can move there permanently. I think we’ll be visiting our daughter a lot until then! I would absolutely recommend Samara to anyone looking to buy or sell. In fact I’ve already shared her information with several other friends who are looking to move to the area in the future. Smart and Professional!. We recently enlisted Samara to help us with sale of our home in Cary. Due to unforeseen circumstances, it was not an easy sell to say the least. Samara not only explained each process as it occurred, but did it with professionalism and friendliness. Once an offer was received on our home, Samara was even great and helpful to show us rental properties and assist with the leasing of that home. When our current lease is expired, there is no question that we will be once again enlisting Samara to help us with the purchase of our next home. If you are in the market for a realtor to either purchase or sell a home, look no further than Samara @ Smart Choice Realty. It’ll definitely be a very Smart Choice!!! Definitely the smartest choice. My wife and I tried another real estate agent at the urging of a friend, but we felt that she was just along for the ride and the commission. She didn’t offer us much help of any real value. As first-time home buyers, we had tons of questions, and we were never quite sure if the answers we were given were adequate or not. Frustrated, I searched online for an agent with good reviews. After reading everything written here, I called Samara. Within 5 minutes of talking to her on the phone, I had more information about the house we had put an offer on than the first agent provided and a clear understanding of why that offer wasn’t accepted by the sellers. I immediately set up an appointment for us to meet Samara and look at some houses. We were not disappointed. After a few questions and viewing a house or two with us, Samara seemed to have an intuitive grasp of what we were looking for and guided us through the process with ease. She gave us advice about what to look for beyond our “must haves” and was able to answer any question we asked. Once we found the house we wanted, she went above and beyond anything we could have expected to help us make a great deal–and we had difficult sellers to contend with. We couldn’t have done it without her, and throughout the entire process she was always available to answer our questions, show us new properties, make recommendations, etc. She made us feel as though we were her top priority. When–and if–we decide to sell our home, Samara and Smart Choice will be our only choice. as easy as possible. I was searching the net a little time and read a lot of reviews before I choose. And I guess I did the right thing. It couldn’t be better to choose Samara. She was very very helpful during the whole process, all the time! She did everything you could ask for to make your life better and she got us a great deal. If you are looking for an amazing agent, I wouldn’t search any longer, we will choose Samara again if we have to sell or buy again! Excellant realtor. Samara was wonderful with getting our house sold. We moved several states away once the sale was started. She was able to do everything remotely. She even sold furniture we left staged in the home on craigslist for us. Even if the was not a flat rate realty I would recommend her to anybody, you cannot beat the customer service. Works Hard and Smart. Samara successfully put a dream transaction together for us. It required selling our house in a slow market and at the same time, deferring a house that we wanted to purchase from going into foreclosure. She is very good at getting different parties to work together. She exhibited great knowledge in working with banks and other individuals to make it happen. I also found out that she does much more work in the background than you think she is doing. If you want to make it happen, you need to get samara. Really great to work with. Samara was just a pleasure to work with. She was helpful, responsive and reassuring during the many stressful moments in selling a house. Samara worked very hard in marketing our unit and generating traffic to get our place sold. She knew the local market incredibly well — we were in the Finley Forest condos in Chapel Hill, and Samara knows these condos better than anyone — and she was very up-front and forthcoming in discussing the other houses on the market. This helped a TON when pricing the unit and negotiating with the buyer. Overall we had a great experience, and I’d hire her again in a heartbeat. Home Selling. Smart Choice Reality did a great job in selling my home. We had tried to sell our home the previous year with a different Realtor and only got one showing the year it was listed. Samara helped us price the home right so it got the showings and sold quickly. She also saved us thousands of dollars with her flat fee approach. I would highly recommend Smart Choice Reality if you are thinking about selling your home. Fantastic job as dual agent!. My husband researched a lot of real estate agents when we wanted to put our house on the market and was struck by Smart Choice. He thought the idea of a flat rate fee for selling a house was a great deal! I was a little hesitant because I thought we wouldn’t get the detail and attention we needed. I was so surprised! Samara really went the extra mile to sell our house and it sold within 3 months! She advised and encouraged us all through the process. We even asked if she would be our agent for the purchase of a new home! She, once again, was incredible and found a house in the location we wanted and negotiated an awesome price. She exceeded all of our expectations and we would recommend her to anyone considering buying or selling a house! Call her! Got The House Sold. Samara did a great job selling our house by keeping on top of the details needed to complete the task. Our house sold within a good time frame at a good price when considering these hard times. Outstanding realtor. My wife and I moved from the bay area and found Smart Choice Realty through some glowing online reviews. We sure lucked out. I’ve worked with 5 realtors in my life, and Samara is the best. Samara gave us a complete tour of the Chapel HIll area, even picking up my wife from the airport on one of her visits. I was immediately impressed by how knowledgeable and articulate Samara was. She worked incredibly hard for us, driving us everywhere, doing research, patiently and cheerfully exchanging God knows how many emails and calls, working with mortgage brokers and inspectors and tradesmen. 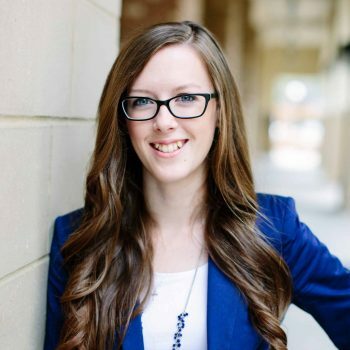 She has got to be the hardest working person in real estate (she is in her late 20s, which must help)! Now I’ll tell you what most impressed me. At one point we found a house on Brookview Ave and were under contract. Samara noticed some nailpops in the ceiling and repeatedly asked the sellers if there was any more information about the foundation. The sellers said no, no, everything was fine, but Samara was relentless in her investigations. A few days before closing Samara dragged it out of the owner that the house almost totally collapsed when it was being built in the 90s. A inspection by RamJack confirmed that the foundation issues were serious and continuing, and it would cost 60K to MAYBE fix the problem.. The owner was dishonest and almost certainly doing something illegal. Samara got us out of the contract. If it had not been for Samara’s diligence, including arranging multiple inspections, we would be in that money pit now. As it turned out, we found the perfect house immediately afterward. Samara negotiated a good price for us and handled the arrangements smoothly. My wife and I are so grateful and couldn’t be more pleased with the results. In short, Samara is the best. I’m a tough critic so rest assured that I’m not giving an inflated, biased review. I wouldn’t even dream of using a different realtor. My aunt and father may move to this area, too, so of course I steered them straight to Smart Choice. Hard work and persistence makes a difference. Samara sold our house during the toughest time in the market in less than 4 months. She was great to work with, keeping us informed of all visits, feedback, etc., while aggressively marketing our house. When the time came for a deal, she was even more persistent, arranging things to ensure the deal went through with minimal impact (and maximum profit) for us. We would strongly recommend Smart Choice Realty and Samara to anyone interested in selling their house. 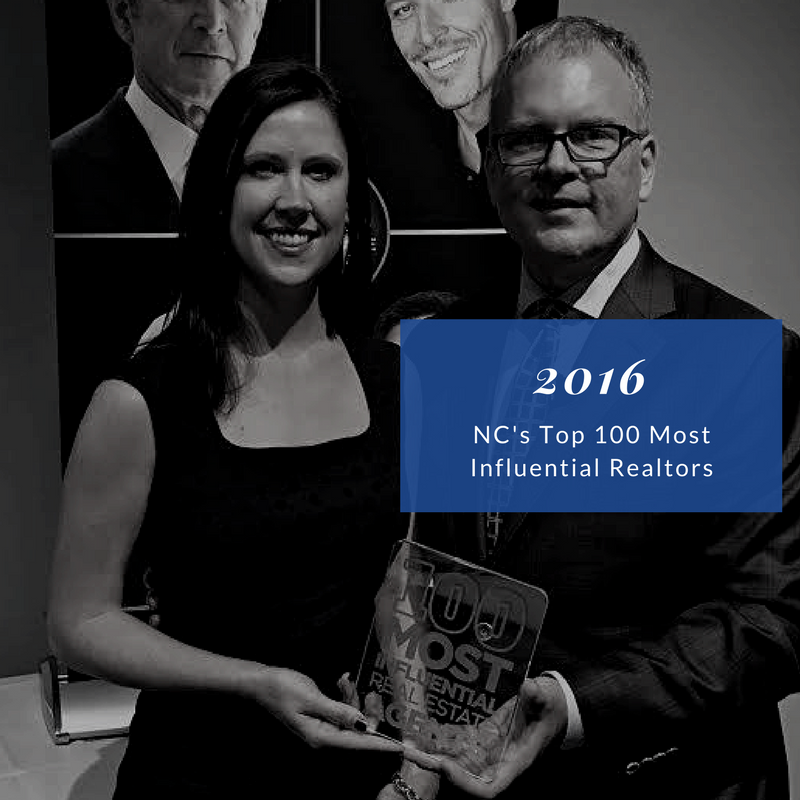 I met Samara when she was on the “other side,” representing the buyer of my house in Alamance County. Since I was satisfied with that transaction, and my agent, Tommy, recommended that I look her up when it came time for me to make a purchase in Wake County, I did. You know what you are looking for: An agent who ‘gets’ what you want (no looking over non-starter properties); personable; and in your court! And that’s what I got when I asked Samara to be my buyer’s agent. The perks of having someone who is technically savvy also helped. Sitting in front of a property, we could look around at a neighborhood and pull down stats on other recent purchases, look over other data bases, and, in general, research enough to make it clear whether a marginal property was really a winner or loser. In addition, Samara was a good counselor. Her relaxed style in the negotiation phase was a decided plus. I ended up buying a property that closely matched every “wish” I’d set down a year before when I’d first started looking. Do right by yourself: Look her up! I definitely will act as her reference in more depth if you need that. Smart Choice Realty was the right choice for me! I needed to sell my place quickly and with Samara I had my place under contract within a week and at a great price too! I highly recommend Smart Choice Realty! Samara provided unbelievable service for our first home-buying experience! Not to mention, she did it while we lived 250 miles away and then were out of the country up for two weeks until a day before closing. Samara is aggressive at getting details taken care of for her clients (she did ALL the legwork for our purchase), making the transaction much easier for a buyer. I would highly recommend using her services if you are looking to buy a place in the Triangle. We highly recommend Samara at Smart Choice Realty. Her style and use of modern communication technology works great for the market context of the Chapel Hill community and our distant location from the property we were trying to sell. Her lower cost listing option was only surpassed by her professional responsiveness and handling of our real estate transaction. We only wish she had been the selling as well as the listing agent! Great Job Samara! Thanks for your help. Samara knows the Finley Forest and surrounding condo markets very well. She’s efficient and responsive, and goes the ‘extra mile’ to make sure that the entire process runs smoothly. She has sold two condos for us, and we will use her again. Smart Choice Realty was the “smart choice” for sure!! Samara went well beyond her duties to help us find the home of our dreams! Having to relocate is always a difficult thing, but we were really put at ease with the amount of knowledge that Samara provided for us. She helped us find a home with the right school districts, activities, etc. Rest assured, the neighborhood was the best of all! So many kids for our family to grow up with! Samara was with us through every step of this process. We must have seen 40-50 homes together, but it was that last trip that made the difference. In addition, Samara was present for the inspections, walk throughs, and the closing of the home as well. We could not have done it without her. I would recommend this company to anyone who is looking for a new home. You will be amazed at how seamless she makes it all seem. Knowledgeable and friendly real estate service. We bought our house with Samara’s help in Zebulon, NC. She was always ready to show us different houses that suited our needs. Because we lived in New Hampshire, she would adjust her schedule to show us houses in the Raleigh area. Now that she is in her new agency we would go to her again for any real estate needs. Great experience. We recently relocated to NC and Smart Choice Realty was a lifesaver. Before traveling to NC to look at houses, we searched the internet and thought we had everything figured out – a list of great houses – thought we knew about the neighborhoods, etc. But after Samara shared her deep knowledge of the area with us, we realized that we were totally off the mark. Samara really understood what we were looking for, and most importantly, wasn’t afraid to express her opinions. We spent two days driving around looking at houses and at the end of the second day, she suggested that we go to look at one more house that she found. I told her it didn’t seem to be what we were looking for, but she really thought we’d like it. As soon as we walked through the front door, I knew that was the house we were going to buy. She knew what we wanted more than we did! When I think back on some of the houses that we had considered — I shudder. I can’t image not living in this house now – and it’s all thanks to Samara. Amazing customer service!. Awesome customer service. We looked for six months to find the right home for us and Samara was with us through all of it. She even looked at homes for us before she took us to them! We found an amazing home in the perfect location. The neighborhood is great and perfect for a family because of the well ranked school district surrounding us. I knew nothing about buying a home but Samara took us step by step through the whole process and put our minds at easy. The only thing i really did was look at home and that is the fun part! The best real estate agent we have ever dealt with!!!! Went way beyond job description and expectations!!!. Smart Choice Realty was the “smart choice” for sure!! Samara went well beyond her duties to help us find the home of our dreams! Having to relocate is always a difficult thing, but we were really put at ease with the amount of knowledge that Samara provided for us. She helped us find a home with the right school districts, activities, etc. Rest assured, the neighborhood was the best of all! So many kids for our family to grow up with! Samara was with us through every step of this process. We must have seen 40-50 homes together, but it was that last trip that made the difference. In addition, Samara was present for the inspections, walk throughs, and the closing of the home as well. We could not have done it without her. I would recommend this company to anyone who is looking for a new home. You will be amazed at how seamless she makes it all seem. We recently relocated to NC and Smart Choice Realty was a lifesaver. Before traveling to NC to look at houses, we searched the internet and thought we had everything figured out – a list of great houses – thought we knew about the neighborhoods, etc. But after Samara shared her deep knowledge of the area with us, we realized that we were totally off the mark. Samara really understood what we were looking for, and most importantly, wasn’t afraid to express her opinions. We spent two days driving around looking at houses and at the end of the second day, she suggested that we go to look at one more house that she found. I told her it didn’t seem to be what we were looking for, but she really thought we’d like it. As soon as we walked through the front door, I knew that was the house we were going to buy. She knew what we wanted more than we did! When I think back on some of the houses that we had considered — I shudder. I can’t image not living in this house now – and it’s all thanks to Samara.